This month was Nicole's month to host and she decided that she wanted to do something different and have it at Starbucks. Which, I guess if you know her, its not that big of a surprise. It was however, the first time our bookclub ventured outside of someone's home. Just last week, Nicole mentioned she was hoping it was a little cooler, so we could all sit on the patio. Little did we know that tropical storm Lee would be passing through just a few days later and give us our first taste of fall. So, the weather ended up being just right for our first outside bookclub meeting. It was a little overcast and a little windy, so it was perfect for everyone to go from frappichinos to actual hot coffees. Except Gina....she's still anti coffee and went for a smoothie instead. We still love her though. Especially since she finished the book this month. She's been saying we were going to kick her out since she hadn't finished a book in months. She redeemed herself this month. I realize that these pictures are horrible, but I only had my point and shoot. 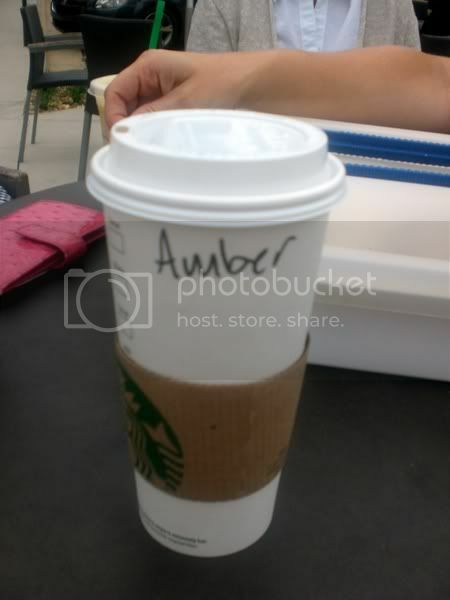 Did you know you have to be very careful when taking pictures anywhere near a Starbucks? Amy made cupcakes and they were delicious. I won't lie, I ate two. 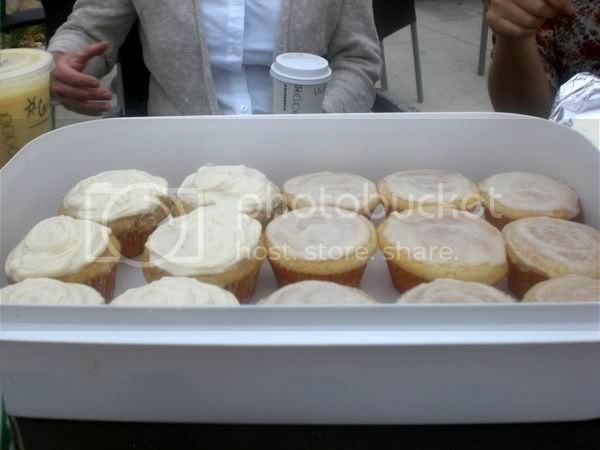 And honestly debated out loud with licking the cream cheese icing off the rest because I'm classy like that. This months pick was The Hunger Games. It was pretty unaimous that everyone enjoyed it. Everyone actually finished it (first time in months) and most had gone on to read the second and even third in the series. I took me a couple of weeks to get through the second, but I'm now into the third. It's definitely a different story, but completely fascinating all at the same time. I love my book club. I honestly wish we could meet every week, even though I know we wouldn't be able to get through a book a week. And meeting outside was a hit. I think we may start a new tradition (weather permitting). I know I say it every time, but if you don't have a bookclub...find one or create one. It's food for the soul. 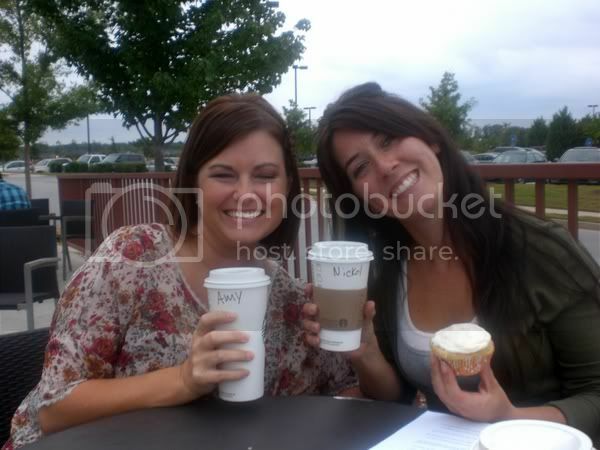 I've never heard that about taking pics at Starbucks! 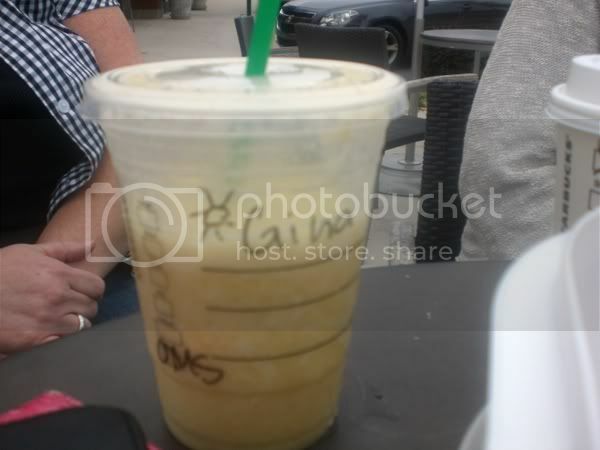 I see Starbucks photos all the time--crazy! I loved the Hunger Games series too! I read them all in about a week. :) I have a recommendation for your book club..Sarah's Key..I finished that one in about three days I couldn't put it down. I would love to know what books you recommend. I'm reading into the wilderness right now. If you have read the outlander series by Diana Gabaldon you will probably like this as well.